* Demon gives the number of days to reset the talents for free. * Bugs on map fixed. * Aggravating bandages changed attack speed training bonus to x6, added to Novice Xiaolin's loot, changed to single handed weapon type. * Nunchaku changed attack speed training bonus to x16. * Triple nunchaku changed attack speed training bonus to x20. * Slick dagger changed attack speed training bonus to x12, changed to single handed weapon type. * Hand weights changed attack speed training bonus to x15, changed to single handed weapon type. * Enma kongou-nyo changed attack speed training bonus to x34. * Yondaime kunai changed attack speed training bonus to x19, changed to single handed weapon type. * Training offline daily limit time for premium is increased to 16h. * Lee transforms adds significantly less attack speed than before, increased pernament bonus attack speed to 10% from 5%. * Regeneration in items increased 3 times. * The limit of drinking increased twice. -	Young snail from Tsunade and the possibility of upgrade it to Mature Snail thanks to Sakura. -	Personal Toad from Frog Old Man and the possibility of upgrade it to Boss Toad. * More detailed summon descriptions on website. * Increased Kage Bunshin, Suna Bunshin, Ninken, Armored Grimmer, Bugs, Insects, Adult Ninken attack speed. * Bugs adds 5% damage. * Insects adds 5% resistance. * Adult Ninken melee damage +50. * New bosses: Gamabunta, Legendary Stupid Prisoner, Sasori, Tobi. * Ultimate Cursed Warrior loot increased. * A monster that is behind the wall or unreachable doesn't block the possibility of taking the prize from the quest anymore. 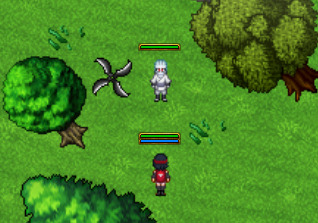 * Yondaime's kunai available to get in the game from the quest and the boss - Tobi. * New elements to Hermit Set. * Kage Kubishibari no Jutsu, Kage Nui no Jutsu increased area of damage. * Public message after defeating bosses (one in 5 minutes). * Kyouten Chiten is dealing damage after teleport to Raven with more area, Ravens got 150% master's damage and each one add +3 throwing and +3 attack speed to master. They spread to a smaller distance. * Corrected HP and MP again due to an unknown error increasing it. * Demon Wind Shuriken added to Shin's loot. * Weakened Kinkaku and Ginkaku. * Bottom experience bar now shows % to next level. * Small informations displays on the top of chat (previous on the bottom of screen). * Small informations displays with a gray background. * Necklace of Uchiha destination strengthened. * Reduced level requirements for summoning weapons. - Sougu tensakai summons now on 320 level new stackable weapon: giant shuriken. - Suna shuriken summons now on 320 level new stackable weapon: sand giant shuriken. - Aisu senbon summons now on 320 level new stackable weapon: ice giant shuriken. * Kunais and big shurikens are no longer on the floor after attack. * Stackable weapons no longer disappear during training. * Stackable weapons have only 25% to destroy after attack. * Stackable weapons got great bonuses, including throwing training bonus. * Summons health bonus appears on site. * Bandages, wrap bandages, easy sword and stone sword got training bonus. * Weapons for faster taijutsu, blade fighting and throwing training can be worn two at a time and accumulate bonuses! * Trade sends items to players. If the player has no place, items appears in depot. If the player does not have a place in the depo, the trade can not be realized. * New font in chat tabs and information boxes. * Stackables weapons are first taken to destroy from other places than players hands. * Suna Tomb enter fixed. * Annihilators works with summons. * Insects level and ninjutsu increased from master's 50% to 80%. * Required level of items with bonuses corrected. * Battle checkboxes are saved when exit the game. * New shop elements: Akatsuki Sakura skin, Cleansing scroll of gems. * Starting work on a new rank system. * Charged guardian glove: +2 attack speed bonus added, heavy steel glove, Bashousen +%1 damage. * Added golden boxes to Masamune. * Fitting monastic jacket, white pirate pants, black captain's boots increased loot bonus to 6%. * Itach after teleport to raven is casting an explosion of amaterasu. * Fixed refreshing skills after transform. * Button to aim target on battle window. * Icon status of speed up fixed. * Shikamaru and Shino got distance favorite weapon. * New Health Information window. * Snake's tongue added to loot, added quest on Red Captains. * No more dealing damage to creatures from pvp arena, new enter to arena from depo and markets. * New create loot function (based on the newest ots engine), base loot changed to 170%. * Story missions monster is treated as a boss. 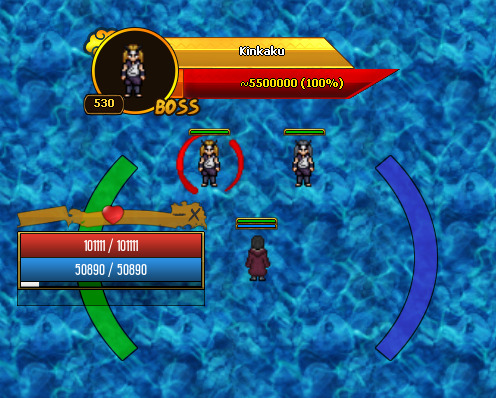 * New bosses, Kinkaku and Ginkaku with Bashousen and new item, Shichiseiken in loot. 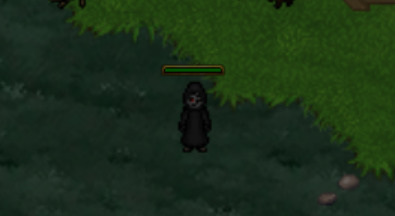 * Completed sprites of items and monsters on the site.